This is a video overview of some of the telepresence projects I have been created. (dis)location (Shamash, 2009) tells stories of five characters living in Salvador, Brazil. Randy Horton assisted in the development of the web & mobile media and lead the experience engineering of the project. (dis)location (Shamash, 2009) tells stories of five characters living in Salvador, Brazil. Mediaboot assisted in the development of the web & mobile media and lead the experience engineering of the project. I provided expertise in Web and Mobile technologies and co-created an iphone application and Web site experience that extended documentary research into experiential media. Ms. Shamash provided the documenary research, assets and storyline while we lead the technical execution and experience engineering for the Web and Mobile versions. The iphone app uses the viewer’s global positioned coordinates and iphone functions to trigger audio and image based narratives. The user can navigate a hand-drawn map of a neighborhood from Salvador, Brazil through a transposed geography of time and space. The engineering process included multiple design mock-ups and interface prototypes for both mobile and Web versions of the project. I applied agile project management methodologies (scrum) while conducting user tests throughout the experimentation phases of the project. The multi-lingual Web site and iphone application were created within four months from project start to completion. In addition, I created the distribution and installation packages for the iphone version. The project was based on a self-directed co-production with the Banff New Media Institute, lead by Ms. Shamash. As documentary media and transmedia, the audience experiences ‘locative media’ (media based on someones location in the world) across various other media, including film, podcasts, still image and audio. Each media conveys the story through its defining properties, and hence contributes to a trans media narrative. The learning library needed to lower the cost of producing their online courses while also expanding the reach of their courses into different markets. Randy Horton lead the consulting and development team that automated design and content creation processes to speed up production of course content. During this process the Learning Library expanded the functionality of the course delivery system to include publishing courses onto dvds, and print material. Mr Horton managed the changing requirements through CRP (Change Request Processes) in order to manage the timeline and stake holder expectations, while still delivering valued services throughout the project. Mr. Horton helped The Learning Library revolutionize their elearning deployment practices by offering the fastest, easiest and most effective way for educators to deliver online courses. Publish courses to the web, cd-rom or book – instantly! There are a lot of robotic applications within new media. My interest lies in the use of robotics and network technologies in order to collapse the relevance of physical space. Telepresence is the idea of being able to affect and influence the physical space of a location through a network. This allows the network user to manipulate the space through robotic actuators. Below are some of the projects that I’ve created that use telepresence technologies. I’ve been working with a desktop 3D printer for the past four months and am using it to create some robotic components, gears and custom scaffolds to house electrical components. There are a lot of little things that are involved in printing a quality object. Here is a list of lessons I have learned over the past little while. DO NOT KEEP YOUR HOT END HEATING WITHOUT PUSHING FILAMENT THROUGH IT! This is the number one mistake I made when I first started printing. If the filament is not moving through the hot end when it is heated up, the hot end will cook the filament, turning it into a burnt, hard little ball. This will clog your hot end and no filament will get pushed through. A clogged hot end is a major pain to fix…so don’t go there. Keep you filament dry. If your fillament is out-of-the-bag, then it is likely absorbing moisture. When it heats up you will hear little ‘pops’ and this is the moisture evaporating from the filament. 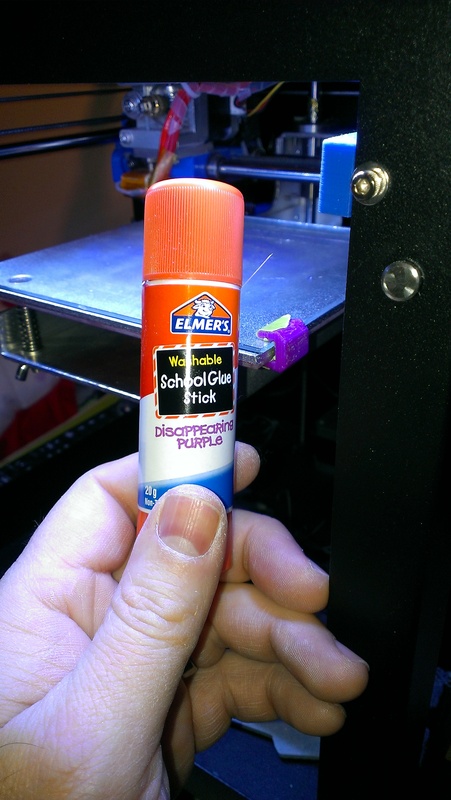 This will create gaps in your print. If you are printing with ABS you need to have a heated print bed. I find 90 degrees is a great temperature. To avoid warped prints, print on glass that is covered with purple washable School Glue, but Elmers. I tried so many different techniques to print non-warping objects, it was driving me crazy. I searched all over the internet trying different techniques without success. My brother finally suggested using glass and the Elmer’s glue and it worked perfectly. A bonus with this is that when the glass reaches about 0 degrees, you will hear a big ‘pop’! This is the abs popping off of the glass! It makes it really easy to remove the object after printing. 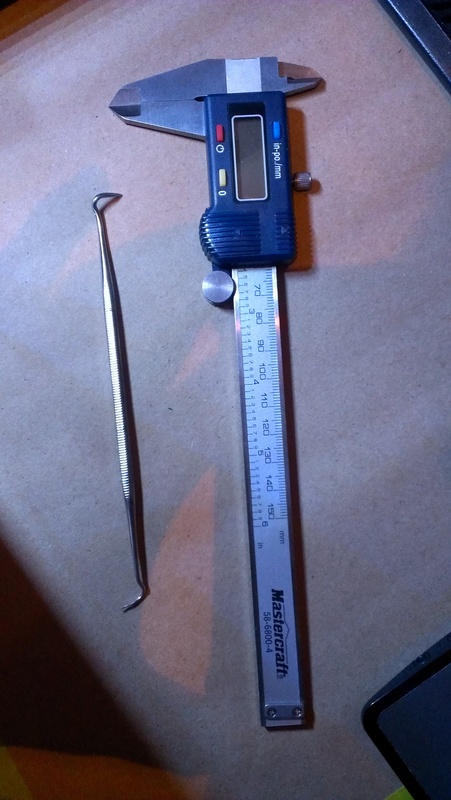 Measure your filament with a digital caliper. 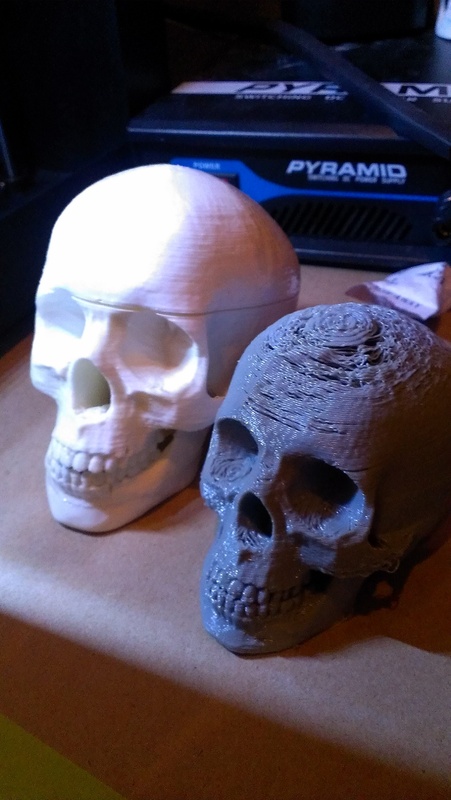 The manufacturer may have a measurement on the box, but your filament may not have a consistent diameter, and having the wrong diameter setting in your hardware can result in poor prints. Make sure you are printing manifold objects. Think of an object as a piece of oragami. It has to be able to (conceivably) be unfolded like a piece of paper in order for the slicer to work properly. I have created a number of objects that were non-manifold and ran into problems printing them before I realized how important having manifold objects are. 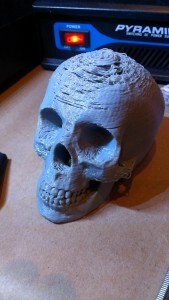 Avoid trying to manipulate objects during a print or working on objects that are on the print bed. 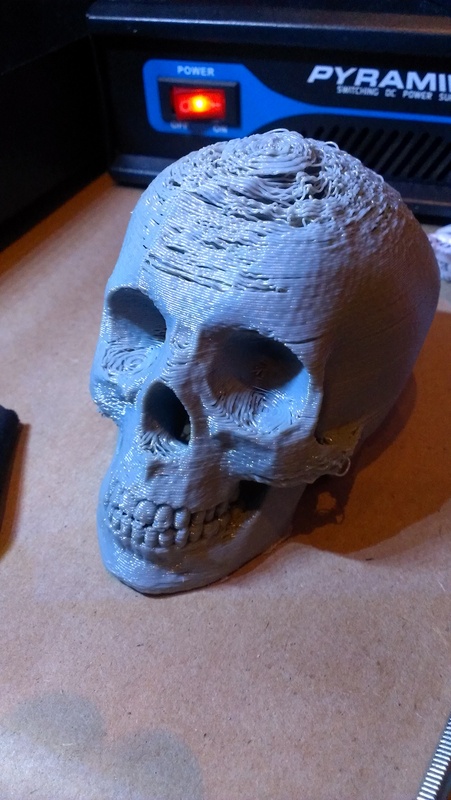 This can lead to a warped z-axis on your printer. If you warp your z-axis it is a pain in the !#@ to fix! Know your printers limits! 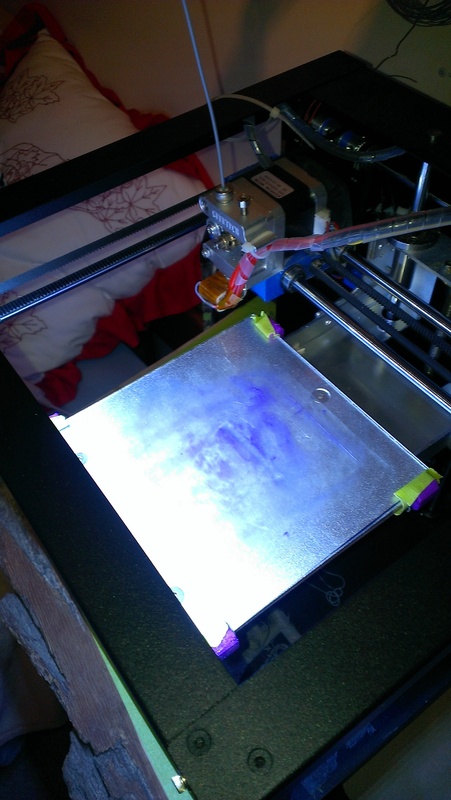 Print test objects to figure out your printer’s abilities. This will save you a lot of time and frustration by realistically understanding the ability of your printer. You will know what you can and cannot print. The weather change increased the moisture in the air; which in turn increased the width of my filament (because it absorbs moisture over time). I had also moved some items around in my office. As spring in approaching I had found myself a bit itchy – so rearranged my office. The shift in position and more importantly, the level of the printer might have a factor on the print. I think the most important, and likely the most relevant factor is that I actually stopped printing stuff. It might sound weird, but the inactivity of my printing may have allowed the extruder, flow tube and hot end to solidify ABS plastic. I only suggest this because when I took it all apart, and heated it up with a blow-torch; I was shocked to see all of the stuff come out of the flow chamber. If you are experiencing flow issues, then you should definitely take your hot-end/extruder assembly apart and heat all the elements up with a torch – and then push the ‘crap’ out of the ends. I know this might sound scary because you just spent a bunch of money on your printer – but you need to know how to maintain it if you want to complete any projects that have advanced levels of sophistication. Kaboose requested Mr Horton to provide project management services to create the world’s first family friendly search engine. He applied his special expertise to fulfill the contract to build the world’s first, family-friendly search engine in 2003, and consulted with Kaboose to help build their infrastructure in project management methodology, and team building up until 2005, prior to their public offering. Mr. Horton sourced the development team, created the project plan, developed and deployed the solution for their search engine concept. The aggressive timeline required developers to work on-site for a period of 4 months. They continually worked with Kaboose to establish their search engine application and adjust its functionality to support ongoing business needs. The world’s first search engine application supporting banned content filters, online ad management, directory support and a fully functional administration area with multi-level permissions in order to support delegation of tasks and directory management. In addition to completing the project on time and on budget, Kaboose extended our contract for nearly two years as we lead the internal development of games, marketing and advertising campaigns and team development. Mr Horton directed the development of the proprietary technology which integrated linux, MS Sequel Server, .net and .php technologies. The unique mix of technologies awarded Kaboose government re-embursement through SRDC funds, for contributing to the development of Canadian technology and strategy. The cross section of technologies also enabled full integration of the search appliance with the existing Kaboose system architecture.